Throughout our curriculum at Powhatan, teachers often bring in experts in various fields to spark enthusiasm, inspire students to think beyond the classroom, and show that we truly do learn not for school, but for life. Fifth graders are studying electricity in science class. They have been building circuits, experimenting with electric motors and generators, and beginning an exploration of the environmental and financial costs of different energy sources. 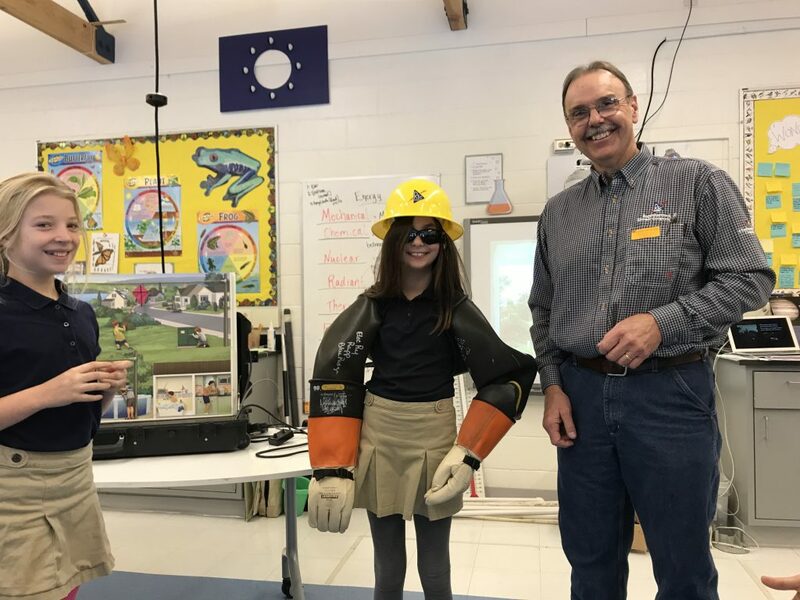 Yesterday, three representatives from Rappahannock Electric Coop visited our classroom to share practical safety tips, explain the way electricity travels from power stations to our homes, and answer students’ burning questions.